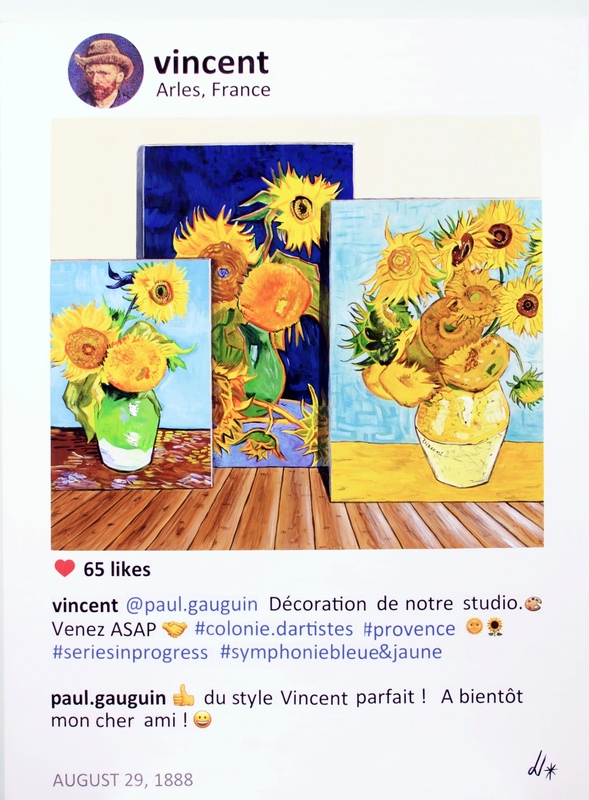 Laurence de Valmy is an emerging gurl artist who is most famously known for her POST series, where she explores the works of the major artist as if they had Instagram during their time & what they share about their artworks. When you see one of her POST series, you can’t help but feel a warm sensation of silly happiness. We asked Laurence a few questions about the POST series, in thoughts on social media in the modern world and her tips for inspiring art gurls. I was born in Africa (RDC), was raised in France and England, and spent most of my adult life in France or the USA. My husband and I moved in 2013 from Paris to the USA, in the New York area. We are now near Philadelphia and who knows where I’m going to be next. I feel lucky to have these different experiences. Well, I guess I’ve always enjoyed doing art, but when it was time to choose some academic studies, I followed a more “secure” path and completed a Master’s Degree in Marketing. 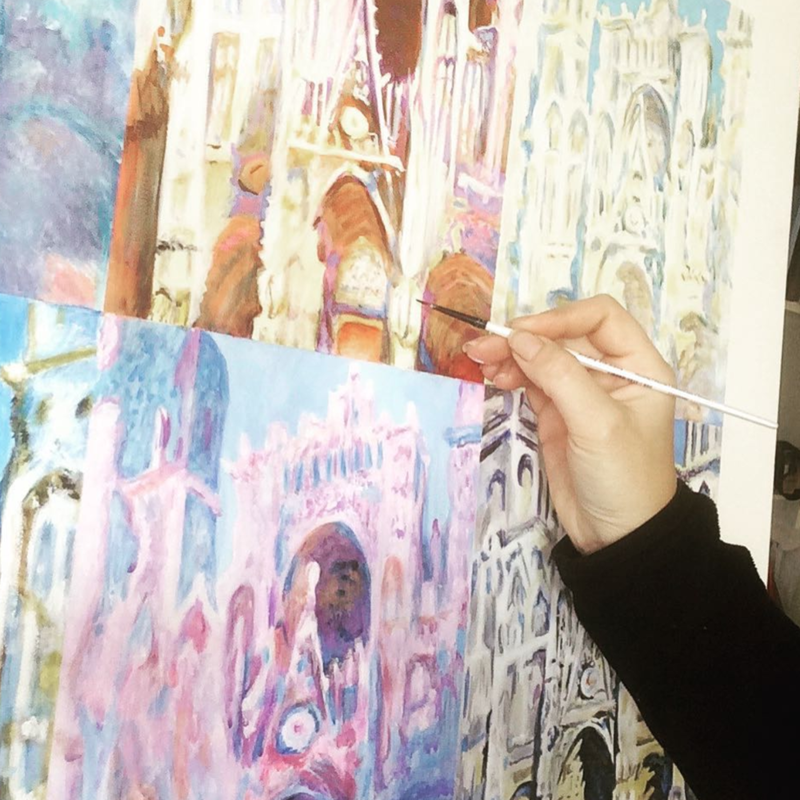 I did a career in marketing while still pursuing my passion for painting, with the idea that one day, I would be able to fully transition to a career in art, which I did a little more than two years ago. Where the idea of #TheStoryBehindTheArt come from & what's your process? I’ve been working, for more or less, a year now on that series that I entitled POST with the tag #TheStoryBehindTheArt. I developed it during my artist residency at MANA, which was a great experience. 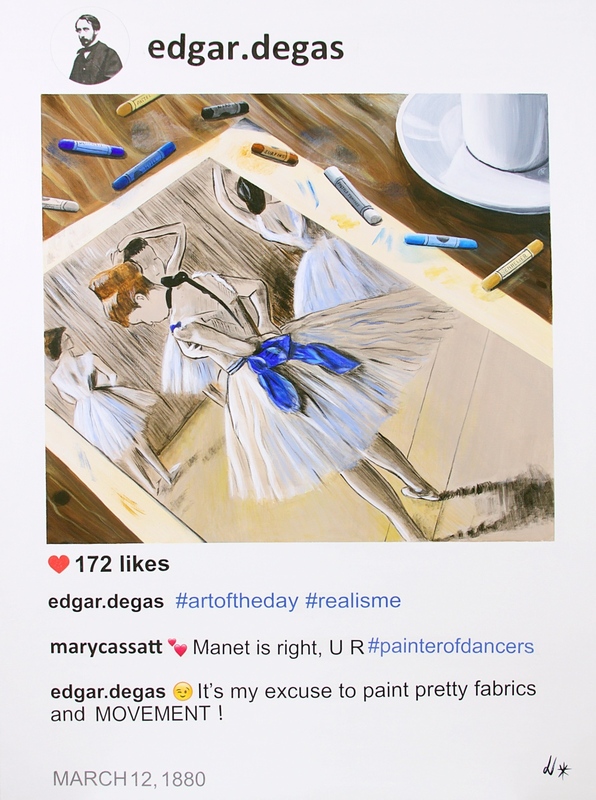 The series is based on the work and life of major artists and each artwork is presented as an anachronic Instagram post, combining an original painting and some imagined dialogs between the artist and his connections. I came up with this idea because I love to read about art history, but mostly I love to learn about the personal stories of artists. All these stories renew my interest in these artworks that I’ve seen so many times. I thought that some others could be interested in these stories, too. Instagram came as a way to share these stories, since it’s so important to connect in general and in the art in particular. To create my paintings, I do quite a bit of research. I read about the artists and search on the net to get the information I need. I want the dates to be accurate, the portrait of the artist in line with the timing in his life and the dialogs to be as close to the truth as possible. Sometimes it’s fairly easy; sometimes it’s a bit harder because I look for specific information like the date of an opening in 1890. I know many people do not fact check but I like to. That’s a tough question! I like some of them because they are funny, some because they relate to the personal life of the artist. I probably have a fondness for these intimate stories. I will pick the story of the sunflowers that Vincent Van Gogh did to welcome his friend Gauguin in Arles. It was done at a happy time of his life and he was hopeful about creating an artist colony there. He was very literate and aware of what was going on. Thanks to his numerous letters we can get a glimpse into his life and it’s often very moving. 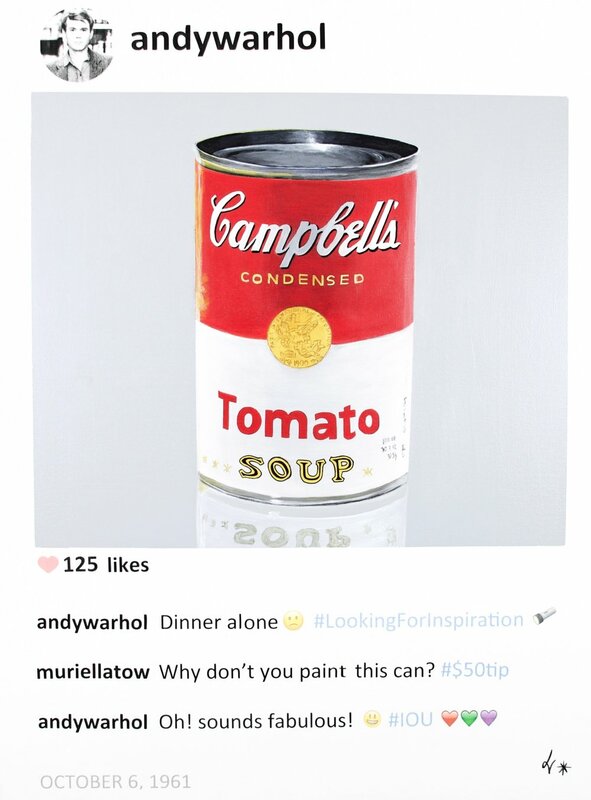 How important is Instagram & how does it plays a role in the modern art world (in your opinion)? I believe that humans want to connect with others. Instagram and social media is a new way to do so. 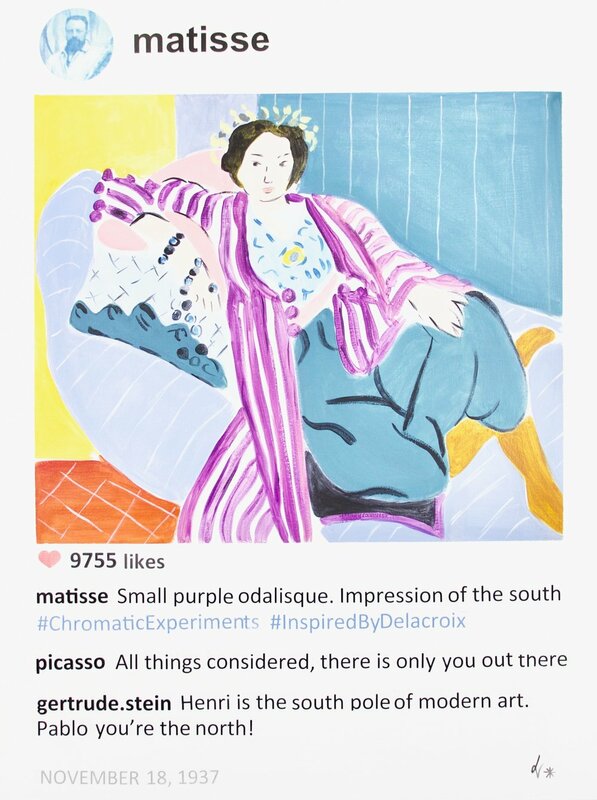 For visual artists, it’s important because you can easily share images and connect with your community. I read once the interview of an artist doing public art who was thinking of doing a small series so it could be more “instagramable”. 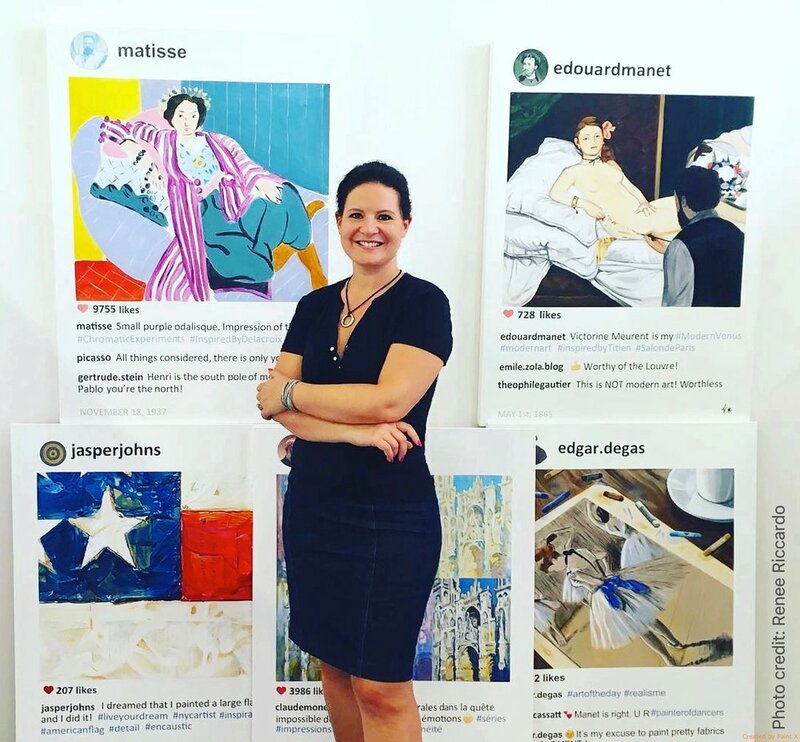 I myself have connected with artists, art dealers and collectors thanks to IG or social media, in general. So, I guess we can say it’s pretty important and can be a useful tool. But on the other hand, I know artists who are not crazy about it and who are very successful. It’s been only a year that I’m working on that series so I still have plenty of stories to explore! Inside the series, I have started to focus on women artists (some famous and some less well known). Then I’d love to show the POSTS in a solo show. If you had any piece of advice to gurl artists just starting their careers what would you say? I would share good advice that I received. One from a gallery owner: “take a stand” or find your voice and create something that is truly yours. In this appropriation series, I merged my passion for stories and painting. The second advice from an artist friend is “build your community”. There is not One art world, there are different communities and different ways to be an artist.